The salmon industry is improving efficiency, productivity and environmental practices by using sensing technology placed on 'sentinel' fish in pens and in the environment to collect real-time data on fish behaviour, water temperature, dissolved oxygen and depth. The $700,000 Project (Sense-T $638,000) brought together the Tasmanian Salmonid Growers' Association, IMAS and CSIRO to collect and analyse data from salmon farms in Macquarie Harbour. Sensors were attached to individual 'sentinel' fish in pens in addition to sensors in the environment. Data was collected on fish behaviour and environmental conditions such as water temperature, dissolved oxygen and depth. Highlighted areas where the industry could improve environmental practices. Fitting a network of biosensors on individual oysters to collect data on health and on-farm conditions is informing real-time decision making on production. The industry is becoming more competitive, efficient and sustainable. IMAS and CSIRO worked together on the $1.4 million Project (Sense-T $652,000) to further progress research begun under Sense-T's Stage 1 Aquaculture Project. Tasmania has a reputation for premium oysters - with excellent growing areas located on the North, East, and South-East coasts. However, oysters can be susceptible to changing environmental conditions such as freshwater input and rapid change in temperature, which can slow their growth or cause mortalities. The Project developed and trialled a network of oyster and environmental biosensors. The biosensors recorded oyster heartbeat and metabolism, and matched the information with environmental changes in temperature, salinity, pH, dissolved oxygen, turbidity and algal abundance. 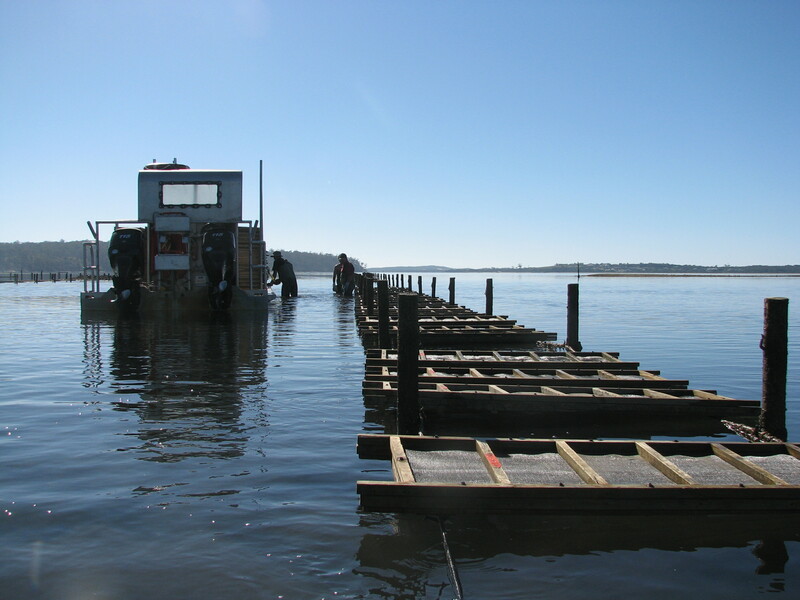 Growth and oyster condition were measured monthly to link the parameters, and the information used to develop farm management models that maximise oyster production. Having real-time environmental data available to oyster farmers assists the industry to become more competitive, efficient and sustainable. Demonstrating how conditions affect oysters enables producers to better manage their stock, helping to reduce oyster stress and improve growth. Project partners include; Barilla Bay Tasmania, Oysters Tasmania, Bolduans Bay Oysters, Tasman Sea Products and Shellfish Culture Ltd.